Last Saturday, September 24th, with the beginning of the new school year and the start of the apostolate of the Home of the Mother, the lay members and youth of the Home of the Mother organized a missionary dinner to raise money towards the reconstruction of the school and the sisters’ house in Playa Prieta, Manabí (Ecuador). Thanks to the hard work of all the members of the Home and close collaborators from the Parish of St. Apollonius in Lumezzane, the people who attended the dinner were very happy with the results. The work for the dinner began early on by preparing signs and pamphlets to announce the upcoming event. 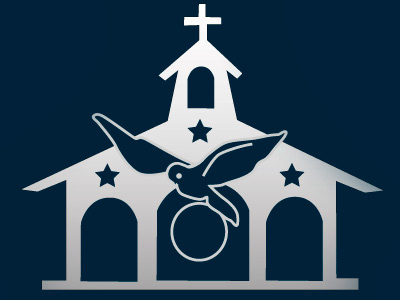 The lay members and youth went to the Sunday masses to announce the dinner and hand out the material, encouraging all to attend. The awaited day arrived and the preparations for the dinner started early in the afternoon so that when the doors opened at 7:30 pm, the delicious food was ready and the volunteers began to greet the families and people coming to participate. 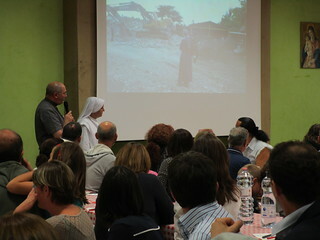 The dinner started off by an introduction given by Sr. Rocio, S.H.M. telling a little bit about the earthquake in Ecuador and the current situation of the school and the community of sisters there. Simultaneously there were pictures in the background so that the people could see what the school looked like after the earthquake and what it looks like now with the new school rooms. Fr. Francesco, the parish priest of St. Apollonius, also gave a small introduction talk and then blessed the food. There was a total of about 200 people who attended the dinner. We trust that our Lord and our Blessed Mother will continue to increase the love and generosity in all these souls and that it will be a help for them to live a truly Christian life.